Few parts of your Tesla see more action than the footwell. 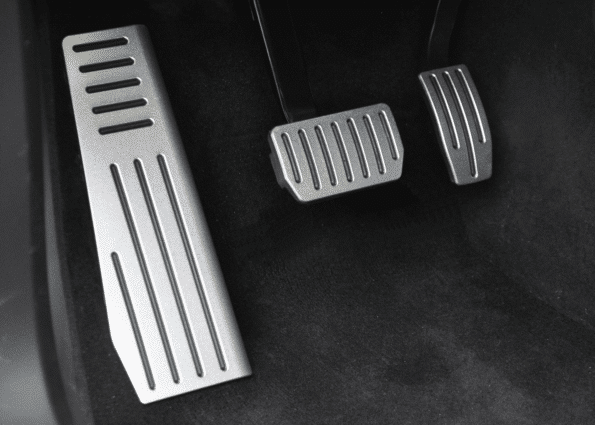 Between smooth braking and gliding acceleration, they’re the life and soul of the car. 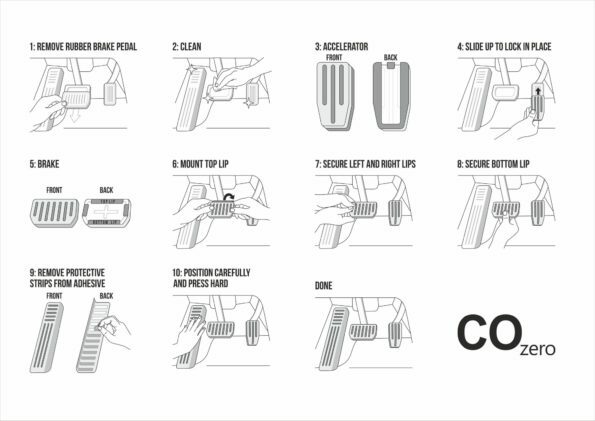 Now, with our easy-install aluminium pedals, you can give them the treatment they deserve. 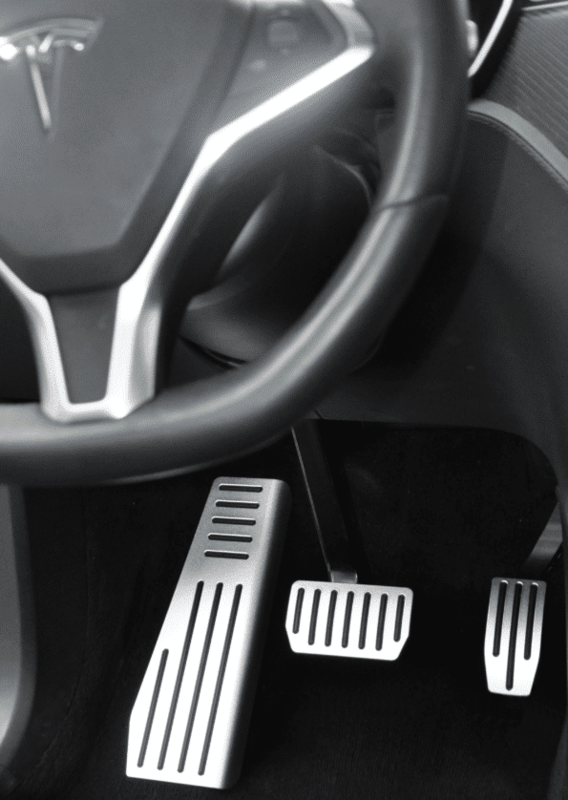 Few parts of your Tesla see more action than the footwell. Between smooth braking, gliding acceleration, and of course, comfort at rest, they’re the life and soul of the car. Now, with our easy-install aluminium footrest, you can give your car the treatment it deserves. 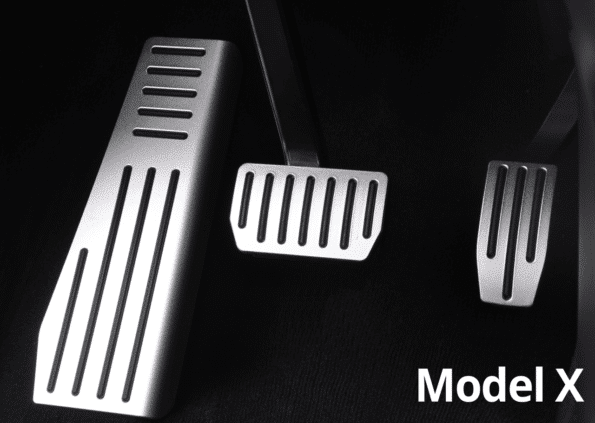 Precision machined and anodized for extreme scratch resistance, these pedals will make your car both look and feel great for many years to come. In as little as 5 minutes, your footwell will have the glint and sheen to match the rest of your control panel, or should we call it your cockpit? 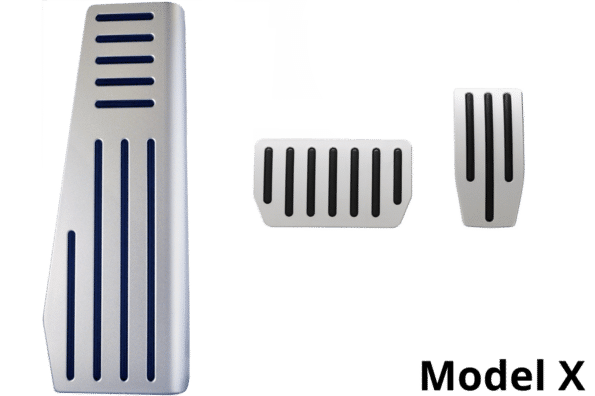 The pedal set is fully reversible, fits both factory P and non-P cars to perfection, and installation couldn’t be simpler. The metal top is made from 3mm thick tempered, bead blasted and anodised 6061-T6 Aluminium – the same material as the plaques on the Pioneer 10 and 11 spacecrafts. The mounting base including the protruding ridges is made from industrial grade chemically resistant high friction rubber to ensure your foot will never slip. 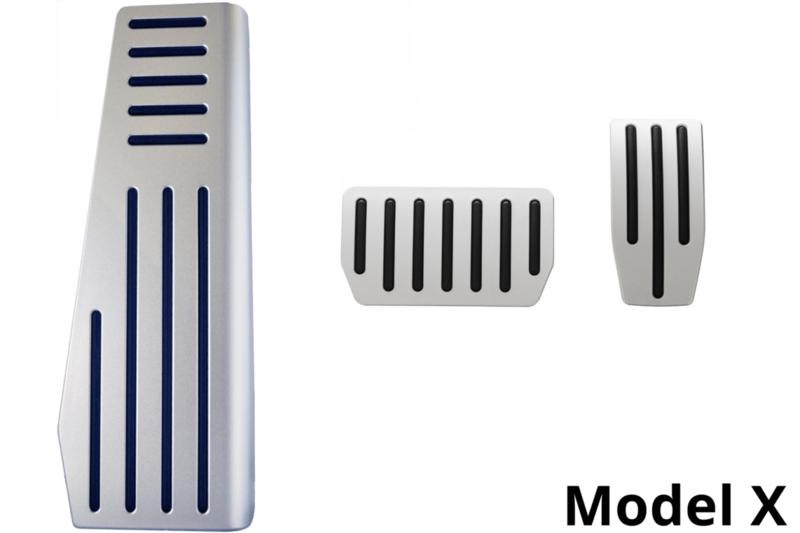 Our aluminium pedals are compatible with all Tesla Model X versions ever produced (note: not compatible with UK/Right Hand Drive versions). Treat your pedals to the makeover they deserve. After all, they’re at the foot of every great driving experience. Nice foot restsBought the bundle. Very easy to install. Looks sharp and is holding up well. Thanks! Model X upgradePerfect upgrade of my Model X. 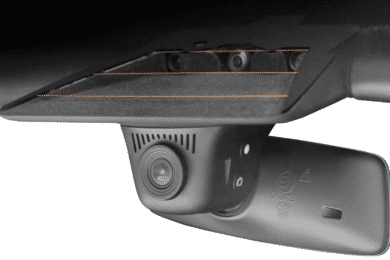 Great looking, easy to install, the function is perfect. Easy to clean in bad weather. Interesting opticThis bundle was applied very easy, looks great and makes the little difference. There was a strong smell of rubber in the first day, but it went away soon.